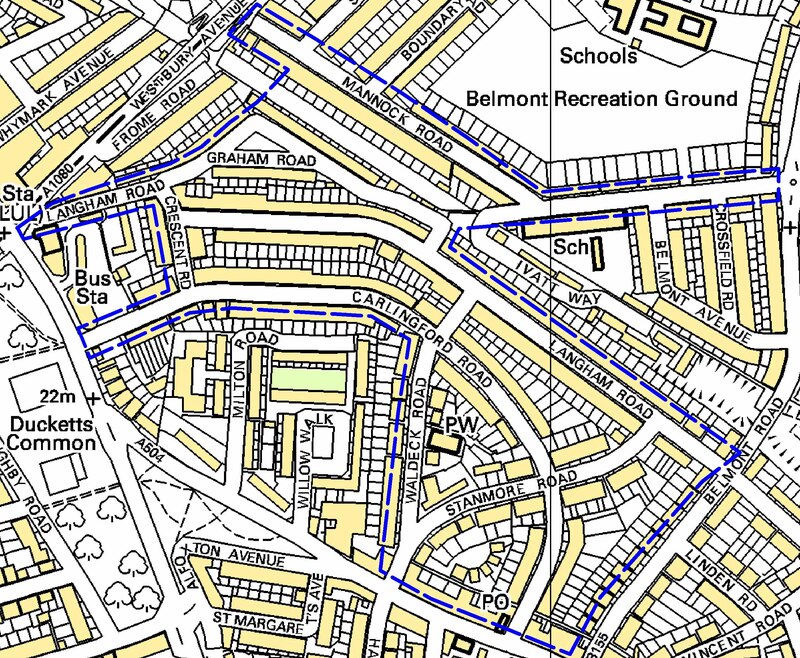 The project will focus on the neighbourhood that lies to the south east of Turnpike Lane Underground station – please note that the map now includes Mannock Rd and Downhills Park Road (west of Belmont Road). It was interesting to talk with Ben on the phone this morning. I work for London Play, and we have a commission from the Haringey Council to help them update their borough Play Strategy. This does not involve spending any new money, but does mean that local residents groups can get involved in making improvements in their local areas so that children can play more. I will be happy to give advice at some future meeting if that will be useful, if anyone has ideas about the new play strategy, do get in touch.